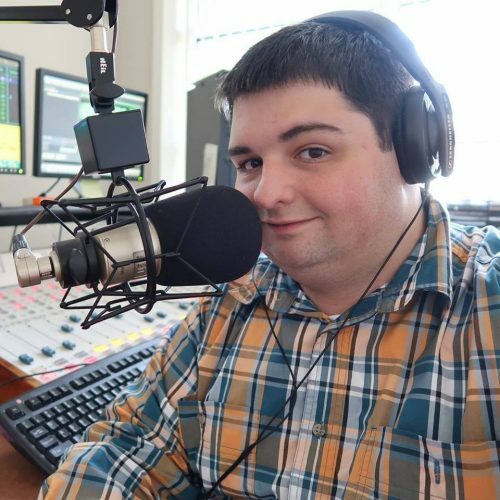 Daniel moved to Lavonia from Knoxville, Tennessee in 2006 to accept the position of VP/General Manager of 92.1 WLHR “Lake Hartwell Radio.” A 1998 graduate of the University of Tennessee at Knoxville, Daniel majored in broadcasting with a double minor in history and political science. Daniel went on to work for a series of stations including WUTK-AM, WIVK-AM/FM, WKVL-AM/FM, WGAP-AM, WLOD-AM, WKTS-FM, WKZX-FM & WLIL-AM, WRMX-FM & WTXM-FM, WJXB-FM, and WSNW-AM. Daniel’s educational and professional background in radio makes him the perfect choice for the job. 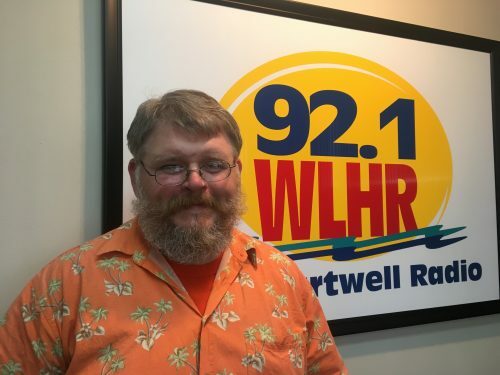 Since going on the air in 2008, Daniel remains committed to making WLHR-FM a station Franklin and Hart County citizens are proud to call their own. His dedication shows: Daniel won the 2008 Georgia-Carolina Radiocasting “Radiocaster of the Year” Award for excellence in station format and delivery. Daniel lead the station to win a Merit Award from the Georgia Association of Broadcasters for “best commercial” in a small market in 2010. In 2011, under Daniel’s leadership, WLHR-FM won a GABBY award, 2 Merit Awards, and the highly-coveted Small Market Station of the Year Award from the Georgia Association of Broadcasters for the entire state of Georgia. WLHR-FM was also named the Franklin County Chamber of Commerce Bruce Knighton Business of the Year for 2011. WLHR-FM also won several GABBY & Merit Awards in 2012. Finally, WLHR-FM won The Hart County Chamber of Commerce Small Business of the Year Award in 2013. Daniel has served on the Lavonia Chamber of Commerce Board of Directors. He currently serves on the Board of Directors for the Franklin County United Way, the Lavonia Downtown Development Authority, and Franklin County Chamber of Commerce, and the Franklin County Chamber of Commerce Education Committee. Michael “Porkchop” Branch is a 1998 graduate of the Radio and Television Broadcasting program at Tri County Technical College in Pendleton, SC. He was named the top RTV student in his graduating class. “Porkchop” worked at WRIX-AM and FM and WANS-AM in Anderson, SC from 1998-2013, where he served as the General Manager as well as the morning show host. He is the recipient of numerous STAR awards for commercial production from the SC Broadcasters Association. Andrew has lived in Martin, Georgia for his entire life. He has had a passion for radio ever since 92.1 WLHR came to town when he met the staff out at the Lavonia Christmas parade in 2008. Andrew began listening to WLHR frequently and getting to know the staff which would eventually lead him to working there years later. Andrew is a 2016 graduate of Stephens County High School. He is also the go to guy for production at the station. He is responsible for most of the ads you hear played on the radio. Whenever our staff needs something voiced or produced for a commercial, Andrew will usually do whatever it takes to get it ready for air. In Andrew’s free time he is busy hosting a syndicated radio show that is heard coast to coast. Andrew has been doing some form of radio since 2013. Andrew is an avid fan of classic country music. 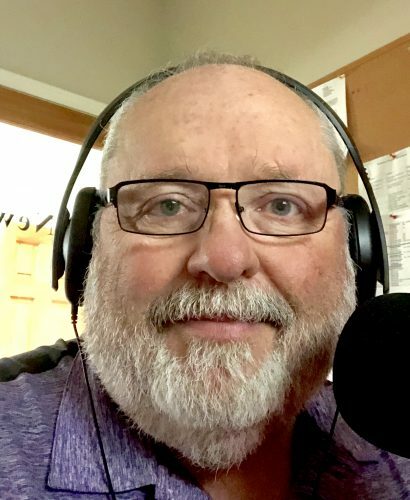 He says, “The new stuff just doesn’t speak to you like the classics do.” He always incorporates classic country in his Sunday Morning Gospel Request Show heard every Sunday from 10:00AM- 10:30AM. He loves speaking to the listeners of the station and playing their requests every Sunday. Andrew is the friendly face you will see first, in the lobby, when you come into the studios of 92.1 WLHR. An award-winning journalist with 15 years of journalism experience, Mark has worked for both the Elbert County and Franklin County newspapers (both owned by Community Newspapers, Inc.). While working for CNI, Mark received more than 30 awards, including a number of first-place awards. Mark is one of only a handful of writers to earn a first-place award from the Georgia Press Association in all four column categories- Humor, Sports, Serious, and Lifestyle/Feature. Mark is a 1978 graduate of Hart County High School, where he played football and was a member of the 4-H Club and Chess Club. After graduation, Mark joined the U.S. Navy, serving in Little Creek, Virginia, Charleston, South Carolina, and Millington, Tennessee. During his time in service, he was awarded the Humanitarian Service Medal, the Navy Expeditionary Medal, and the Sea Service Ribbon. An honor graduate from The Art Institute of Atlanta, Mark earned an Associate of Arts in Culinary Arts degree in 1998. After graduation, Mark worked in both restaurants and private clubs until moving out west to work as a camp cook on ranches in Montana, Arizona, and Colorado. While out west, Mark began writing cowboy poetry and performed at a number of events, including the Festival of the West in Scottsdale and gatherings at Picacho Peak and Wickenburg, all three in Arizona. Mark has called Bowman home since 2003. He was elected to city council in 2016 and a year later mayor of Bowman. Mark’s interests include cooking, sports, sci-fi, online gaming, and a variety of music. He is also attempting to learn the art of ventriloquism. . .but the jury is still out on whether he is successful or not.